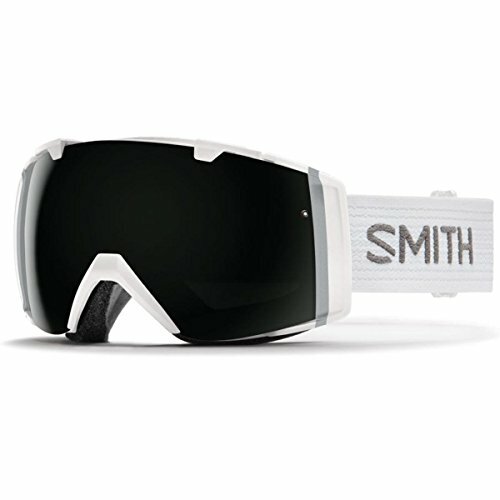 Smith Optics Mens IO Goggles, White/Blackout Yellow Sensor Mirror - OS by Smith at Notakem Bara. MPN: II7BKWT17. Hurry! Limited time offer. Offer valid only while supplies last. The all-new I/O combines a wider field of view, innovative Responsive FitTM frame design, and updated looks. All while using your same proven lens. The all-new I/O combines a wider field of view, innovative Responsive FitTM frame design, and updated looks. All while using your same proven lens. The spherical lens has 5XTM anti-fog, Smith's highest level of anti-fog technology, and TLT optics for crystal clear vision. The original I/O was the first goggle to solve the problem of what to do when changing light and weather demanded different lenses. The new I/O continues that legacy of uncompromising performance. If you have any questions about this product by Smith, contact us by completing and submitting the form below. If you are looking for a specif part number, please include it with your message.